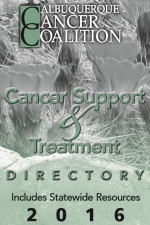 Cancer patients, their families, and loved ones face many difficult decisions once they learn of their diagnosis. As they discuss the various treatment options, one element to consider may be a cancer clinical trial (also referred to as a research study). NMCCA offers the following information to help patients and other interested parties decide whether to participate in a cancer clinical trial. A clinical trial is a medical research study involving people. Prior to involving people, new methods of treatment such as new drugs, new combinations of treatments, new approaches to surgery or radiation, or other new methods are tested in a laboratory setting. If the laboratory tests show that an investigational cancer treatment might slow the growth of or destroy cancer cells, researchers set up a clinical trial using volunteer patients. These trials are designed to determine whether these investigational treatments are safe and provide a better therapy for cancer patients than the existing standard treatments. Sometimes the new treatment is better, but sometimes the standard treatment proves to be the better option. NMCCA believes clinical trials benefit the public because they address cancer patients’ health needs and enhance medical research. The knowledge obtained from the trials directly affects the progress toward cures. The number of people who participate in clinical trials directly affects the overall cure rate for cancers. For example, almost ninety percent of eligible pediatric cancer patients participate in clinical trials and the overall cure rate for childhood cancer is more than seventy-five percent. However, only about five percent of adult cancer patients participate in clinical trials. Participation in adult cancer research is not as extensive as pediatric and many medical researchers believe this is contributing to the slower advances in treatments for adult cancers. There are many reasons why adults do not participate in cancer clinical trials. Undoubtedly, one factor is the lack of local, easily accessible trials. NMCCA wants to give New Mexicans more options in cancer therapies by bringing the latest clinical trials to the state. Clinical Trial Insurance Statute If you are considering participating in a clinical trial and wonder whether your insurance will cover the costs, please click here for a copy of “Article 22 – Health Insurance Contracts, 59A-22-43; Required coverage of patient costs incurred in cancer clinical trials.” If you have specific questions, you should contact your health insurance provider.